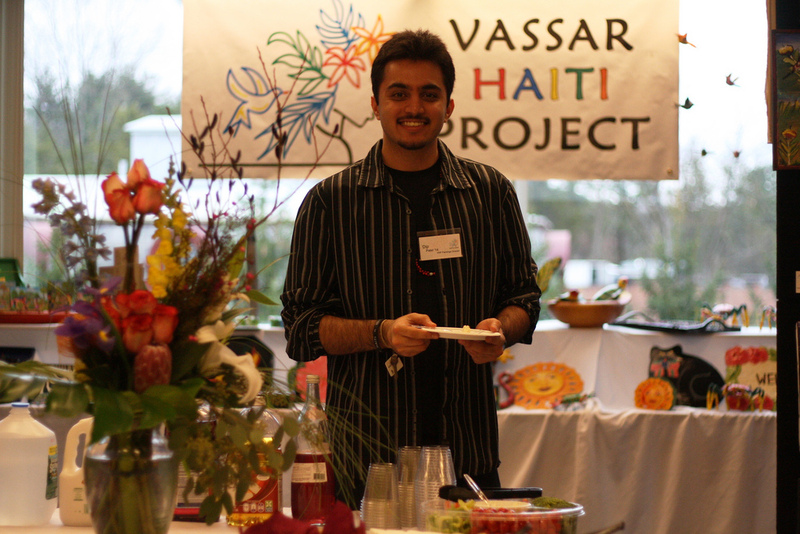 Dip Patel ’14 is a highly dedicated member of Vassar Haiti Project and has taken on many initiatives during our largest sales. For the Cos Cob sale in Greenwich on April 25, the last Wednesday, he was a leading organizer. Here, he recounts his experience with the entire event. The sale at the Cos Cob School which serves grades pre-kindergarten to 5 in the Greenwich School District of Connecticut was a rewarding experience not only for volunteers of the Vassar Haiti Project but also for the school children and teachers. It was a refreshing example of the outreach and community building that the VHP does. Personally, it was a great opportunity for me to go off-campus for a day and interact with a far younger audience than I am accustomed to. For a change, we were not telling adults about our project and efforts in Haiti but we were, in a sense, educating children about the type of community service we do. Not surprisingly, the young ones were very excited and “persuaded” their parents to buy Haitian handcrafts from the eight long tables we had set up (in an impressive time I must add). We made out receipts using the names of the children and handed over their purchases to them as opposed to their parents who were happy to handle the payment portion of the transaction. The reason we were invited to the school was because they were hosting a “Caribbean Night” to which we could contribute not only a fundraising element but some knowledge about the region. There were performances and various ‘tables’ including bake-sales, rock-painting, flag-making and of course, there were our VHP tables. We did not raise an impressive amount of money but we raised a lot of awareness and excitement about Haiti among a young population that we hope to have motivated and entertained. The beautiful smiles everywhere were an indication that the sale was a success. The reason we were invited to the school was because they were hosting a “Caribbean Night” to which we could contribute not only a fundraising element but some knowledge about the region.